As an artist, my mom dreamed of visiting San Miguel de Allende for years. By moving here, we were able to make her dream come true. My parents visited us in Queretaro with many side trips including San Miguel (just 45 minutes away) in July. Their trip was delayed a few times because of the weather. May was too hot, and June was rainy. When they finally did arrive, my parents were blown away by the beauty, history and overall friendliness of the Mexican people. 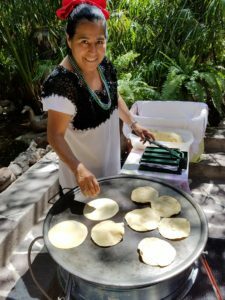 I want more people to experience the true side of Colonial Mexico. 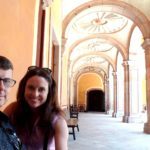 When I tell people we live in Queretaro, Mexico, the usual response is “where’s that?” What people know about Mexico is abbreviated to beaches, cruises and biased media reports. Yes, Mexico has some beautiful beaches on both coasts. A cruise is a nice introduction to Mexico, but it is only a glimpse of what Mexico really is, like looking at a postcard. The media IS biased and only reports on things that can instill fear in the people watching. Mexico is a large country with more than just beaches. 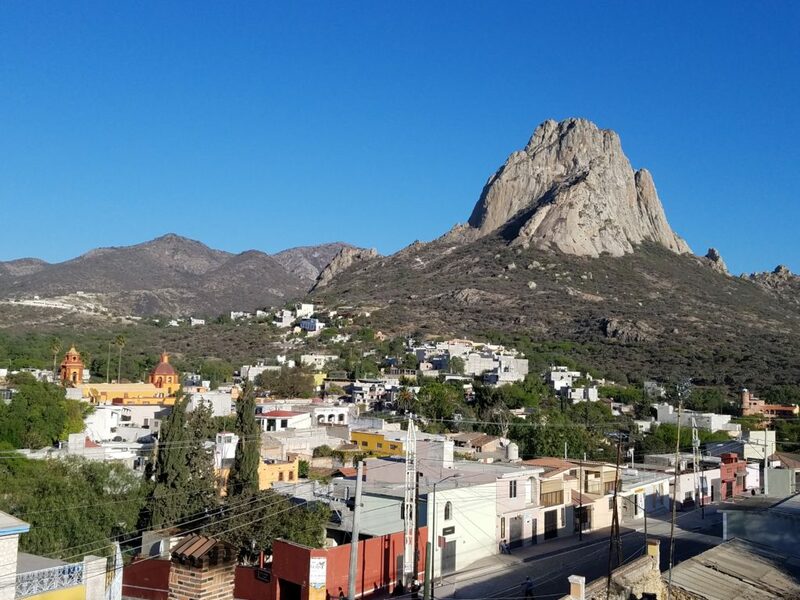 Mexico has mountain ranges crisscrossing the country with ecosystems ranging from coastline, desert, jungle, canyons, high desert and snow-covered mountains. Temperatures range from hot and humid to dry and below freezing. Mexico is the 4th most biodiverse country in the world, and 62 indigenous languages are spoken throughout the country. To say you’ve “been to Mexico” is like saying “I’ve been to the USA”. One place does not define the entire country. Guanajuato’s Leon is in the Central Mexican plateau with semi-arid temperatures. The silver mine town of Guanajuato City is built in a narrow valley between mountain peaks about 30 minutes east of Leon. 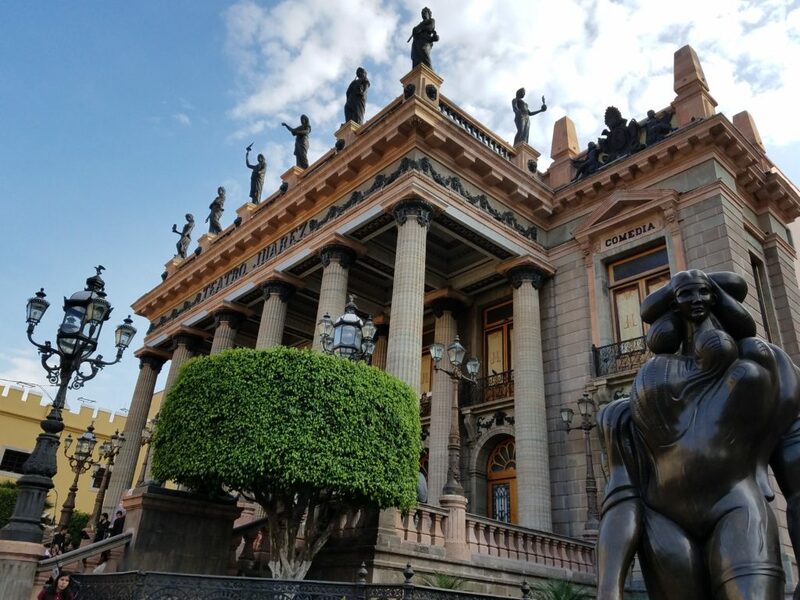 Guanajuato is also home to Dolores Hidalgo and San Miguel de Allende. San Miguel is situated right in between both airports. 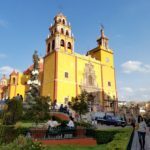 Other little towns and pueblo magicos you can visit are Mineral de Pozos and San Luis Potosi (gateway to the Sierra Gorda waterfalls and adventure sports). Queretaro is in the heart of Colonial Mexico in the middle of the country near the Sierra Madre Occidental mountain range. 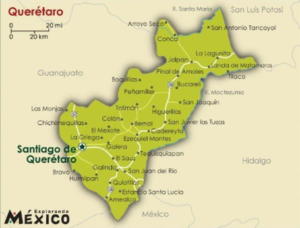 Queretaro is temperate surrounded by mountains and rolling hills for agriculture. 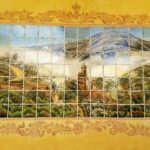 The Pueblo magicos Bernal and Tequisquipan are the center of Queretaro’s wine country, and smaller missions, caves and waterfalls are scattered in the mountains of the Sierra Gorda Biopreserve. Is the Colonial Mexico Region Safe? 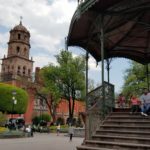 Queretaro is one of the safest cities you can visit in Mexico. And Guanajuato? 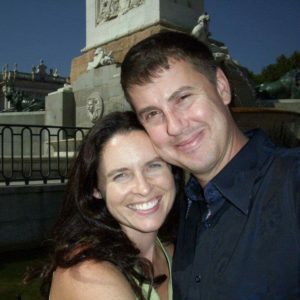 We asked an expat who had lived there for 11 years what the crime rate was like. He didn’t understand our question because if a person gets pickpocketed, it would be on the front-page news. The people in this region are very friendly and helpful. We have never felt unsafe. It’s kind of a joke around here that the cartels got together and decided that these two states were off limits so that their families had a safe place to vacation. 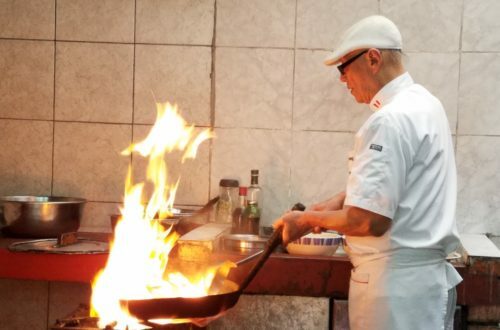 Whether it’s true or not, people from all over Mexico and many other countries move here because of its safe reputation. The two main international airports in Mexico are Mexico City and Monterrey that have flights to and from almost everywhere in the world and within the country. Colonial Mexico has two small international airports located in Queretaro and Leon about 3 hours apart. You can plan a trip to and from one airport or arrive at one and leave from another. 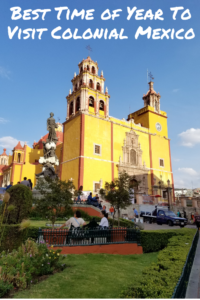 This post will mainly focus on the states of Queretaro and Guanajuato with Queretaro international Airport and Del Bajio International Airport as your points of reference. 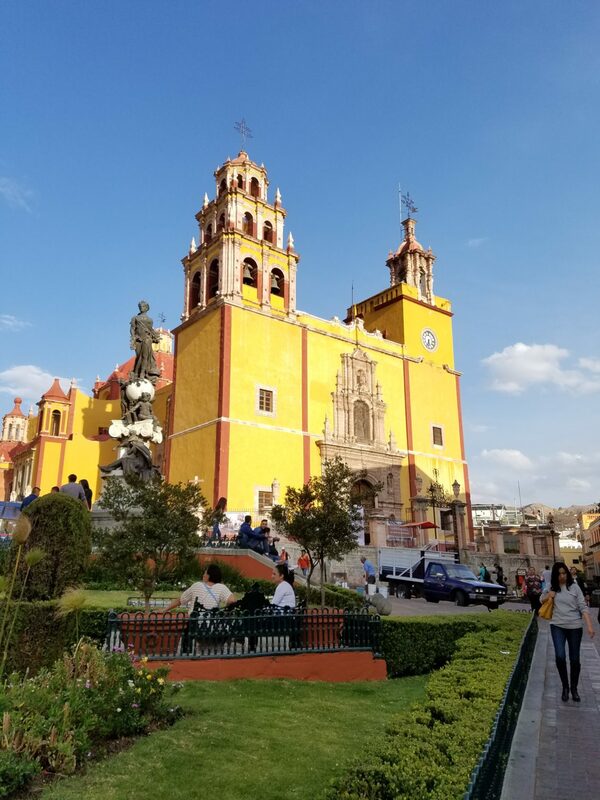 Queretaro is 2 hours north of Mexico City, 3 hours from the Monarch Butterfly preserves in Michoacán and just an hour away from San Miguel de Allende. Queretaro has its own international airport with direct flights to and from Mexico City, Monterrey, Dallas, Houston, Atlanta, Chicago and Detroit as well as smaller airports around Mexico. Leon is a great city to fly into to explore the state of Guanajuato. Del Bajio International Airport has direct flights from Mexico City, Monterrey, Los Angeles, Houston, Dallas, Atlanta, and Detroit and many smaller airports around Mexico. To find deals from your local airport to Queretaro (QRO) or Leon (BJX), click here: Browse All Travelocity Vacation Packages & Save! 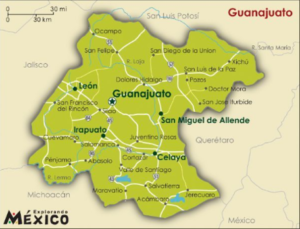 San Miguel de Allende is in the state of Guanajuato and one hour from Queretaro. It’s been named the Best City in the World by Travel & Leisure readers two years in a row. It’s directly in between the two airports characterized with rolling hills and Colonial architecture. San Miguel did have plans to build an international airport, but the residents were not too excited about that. 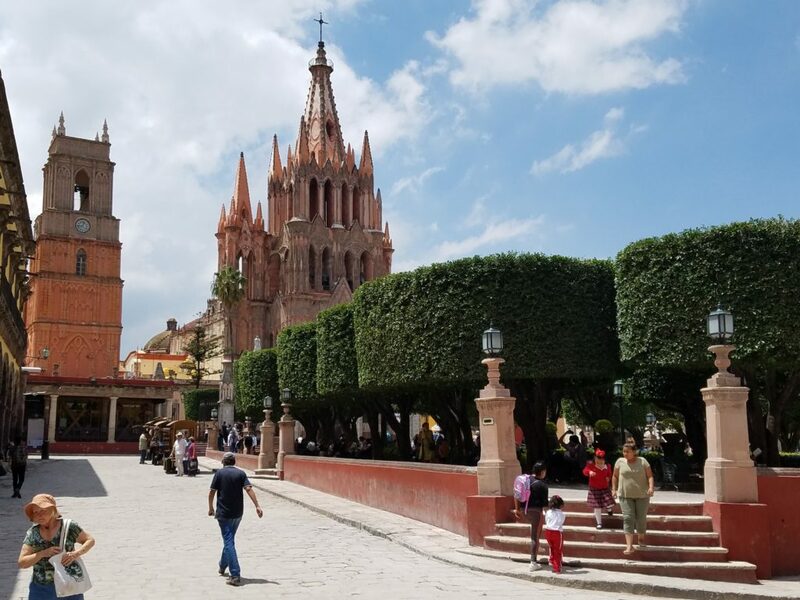 If San Miguel de Allende is at the top of your list of places to visit, there’s plenty to discover around this UNESCO World Heritage Site from either direction. After spending (almost) a full year here, we can honestly give you the best advice of when to visit Colonial Mexico. Below is a list of best and worst times to visit. I did not list specific dates because these can change at random. This list is to give you a general idea of what’s happening each month. Many other events will be taking place in your chosen destination that aren’t advertised on websites, event pages or Facebook events. *December through March is a great time to see the monarch butterflies in Michaocan (3 hours away). Weather is still temperate with lots of sunny days. 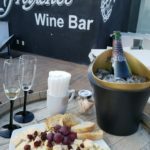 Wine festivals are starting to take place at Queretaro wineries. The beginning of February has two national holidays and Valentine’s Day is big here. February is a beautiful time to visit almost anywhere in Mexico. Wine festivals are in full swing in Queretaro and around San Miguel de Allende. 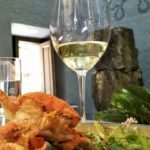 The 100 Wines of Mexico Festival is one of the most important wine festivals of the country that takes place at the beginning of March in Queretaro. It’s also strawberry season in Irapuato, Guanajuato. Purple jacaranda trees are in bloom. It’s a good time to visit Sierra Gorda for hiking, camping and to see waterfalls. Easter celebration in San Miguel is something to see. Schools are closed for the week before and after Easter so smaller towns swell with city dwellers going on vacation. If you can get an Airbnb at this time the price will be better than hotels. Temperatures start getting hot during midday, but evenings are still nice. Mineral de Pozos has a Mariachi Festival this month. The weather is still nice to explore Sierra Gorda. Avocados are sold at ridiculously cheap prices along the roadside. May is the hottest month of the year in Colonial Mexico (and most of the country). It’s hot and dry and since the beauty of Mexico is usually outside, you may want to avoid this month. The heat lasts from 10am-7pm, then cools down by 20 degrees. It’s a good time to escape to Sierra Gorda for 70 degree weather, waterfalls and hiking. The rainy season begins, and flooding can occur. It usually rains at night, and just a few times in the daytime. I think I only had 2 days during the month when I had to walk our dog in the rain. There are still festivals every weekend such as Dia de los Locos in San Miguel de Allende. Perfect summer weather! Now it rains only at night and the heat of the day is just a few hours. The mornings and evenings are beautiful. Wine and food festivals are happening every weekend. You’ll see vendors selling figs and peaches. Guanajuato Film Festival is the last two weeks in July. This is the worst time to visit Sierra Gorda because it doesn’t rain in the mountains to cool it down. Wine Harvesting Festivals or Vendimia take place all month. Plan a trip to explore the art, cheese and wine route through Queretaro and Guanajuato. Middays can be hot, but evenings are cool. Figs, peaches and corn vendors line the roads. Mexico’s Independence Day on September 16th is a big deal. All cities decorate buildings and streets and children dress in custom clothing. 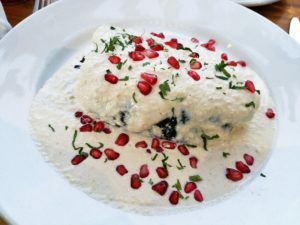 Parades are common and Chile en Nogada is on the menu (a must have!). Dolores Hidalgo’s big music event festival Fiestas Patrias is popular. Wildflowers cover the hills with electric colors of pink and yellow. Corn, pecans and peaches are in season. Very pleasant weather and not very busy. 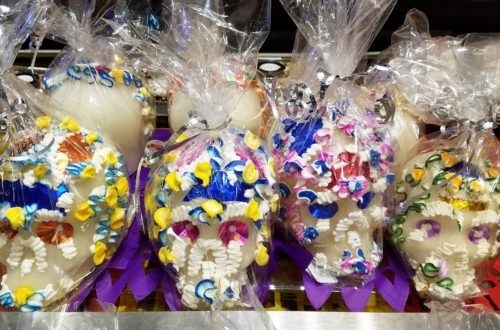 At the end of October, you’ll see people preparing for the Dia de los Muertos celebration in November. Festival International Cervantino musical fest takes place in Guanajuato City. This is good time to visit Sierra Gorda. Wildflowers are at their most colorful. Dia de los Muertos November 1-2 is a huge celebration. Book your accommodations 3 months in advance because the good places sell out quick. This month marks the last of the wine festivals. Christmas decorations are in the stores and starting to go up in the residential areas. Temperatures really start to drop so bring sweaters and puffy jackets (everyone wears puffy jackets). Don’t miss the International Balloon festival in Leon and the International Festival of Jazz and Blues in San Miguel de Allende. This is the wettest month in Sierra Gorda. A perfect time to visit! Christmas is everywhere! It’s cool, but sunny. The towns decorate with Christmas lights and the last two weeks of December are vacation weeks for the Mexico people. Crowds can be expected especially in Guanajuato and San Miguel de Allende. Parades are common especially on the 23rd and 24th. The Sierra Gorda region is cool, but it’s still the wet season. Throughout the year we’ve seen many monthly festivals for mezcal, gastronomy, coffee and chocolate. If one of these festivals is not happening while you visit, don’t worry. There’s plenty of bars, cafes and shops to help you create your own personal celebration with these. I hope this guide helps you in your trip planning to Colonial Mexico. If you have any questions, comments or adds you’d like to contribute, leave a comment and I’ll be sure to update this. Great guide! Always so helpful to get information from someone who has lived in a place for a while. I’d love to go for the wine festivals in March and February, and for the holidays in December. It’s been a super long time since I’ve been to Mexico, and Cuernavaca in Morelos is where we’d go. I didn’t realize there were so many languages spoken in Mexico. The interior has so much to offer travelers! I’d definitely avoid May then, too hot for my pale skin! Arriving at one airport and leaving from another is a helpful tip too, tend to see more! Yes, I highly recommend coming into one airport and leaving from the other. They are only 3 hours apart, but there’s definitely a lot to see in between! Well, I certainly feel like I have a much better appreciation for Colonial Mexico and what it offers. So wonderful for you to go through the year and delineate what is happening each month, as well as the weather — great guide! Thank you so much for the compliment! There’s so much going on and I just hit the highlights. Sometimes you have to be in the town to discover the pop-up events. Ok, I’m sold. I need to visit Colonial Mexico. First of all, I love the architecture. Secondly, I’d love to see the butterflies. But most importantly, I believe you mentioned WINE FESTIVALS! I really appreciate that you mentioned the airports (looks like I’m covered with direct flights from Detroit) and when to visit. I’m thinking a visit in February or March would be ideal for me. Definitely need to consider this for 2020! I think February and March would be ideal for you as well since you could check off the Monarch butterflies, wine festivals and the temperature is perfect for spending the day outside admiring the architecture. Stay in touch and let me know you’re plans! How is Boquete? Yes, come and visit and maybe we can visit you! What a great idea to fly into one airport and leave from another! This would be a great way to see the the central part of the country. Glad I could shed light on a different way to see this part of Mexico! Wow, this is an insane guide! I’ve visited Mexico once, but I was in the Yukotan area, so plenty of ancient temples and not much colonial stuff. The yellow Church at the beginning of the post really reminds me of Antigua in Guatemala (they also have a yellow church as well as their famous arch) not too dissimlar in style to this. 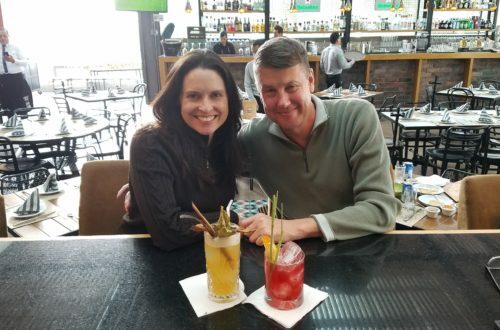 I keep vowing to go back to Mexico, I loved the people, the food, the culture and it’s reassuring to hear that there is a low crime rate – the media really plastered Mexico with awful stories. I’d love to go over Dia de los Muertos, but everything is so insanely busy then. Yes, the media seems to only report the bad stuff about Mexico, but there’s so many beautiful things here! 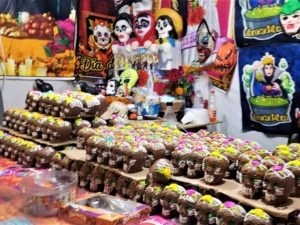 Da de los Muertos is extremely busy anywhere you go. The whole country takes time off for a long weekend. But even the smaller towns celebrate it their own way so choosing a smaller town instead of a touristy city might be a better choice. We have been to 7 states in Mexico but not this one. Looks and sounds great! 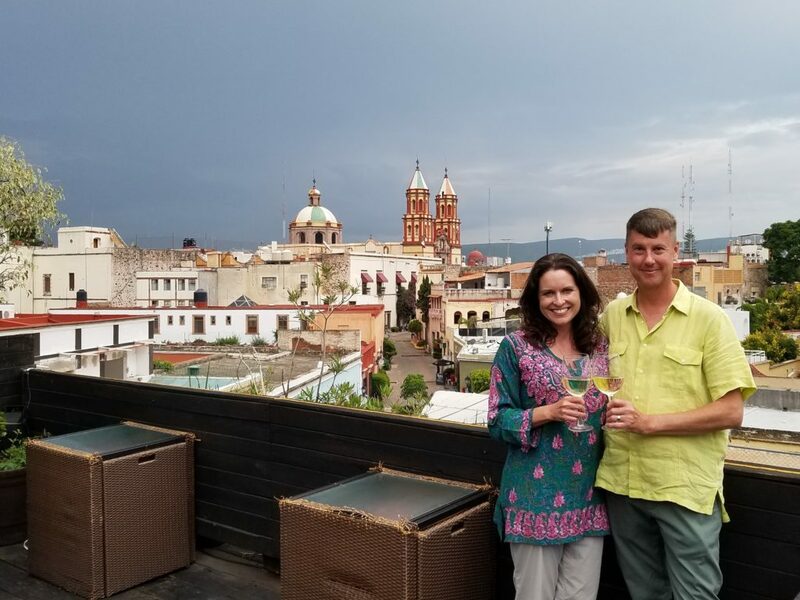 San Miguel de Allende must be a great place to visit. I see that it is 9 hours from Mazatlan. We will be there from Dec. 29, 2018 to April 5, 2019. Maybe we can find the time to drive there! Thanks for the tip! If you come over, let us know and we can meet up! What wonderful information you’ve compiled here. Sounds like just about every month is a terrific time to visit Colonial Mexico. Just about! And there’s always some type of celebration happening!